Blouse: Who What Wear for Target. iPhone Case. I cringe when I think of my foundation color-matching history. Inevitably, a friend in class would point out that I needed to blend in my jawline… Because I could never find a foundation shade that matched. Then a makeup artist taught me to work the excess product down my neck to provide a more smooth transition… But to the detriment of my light-colored tops and blouses. 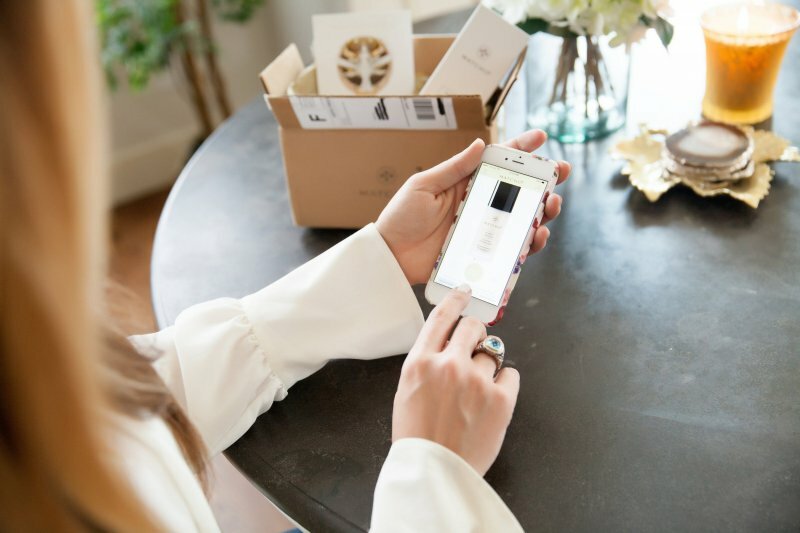 The MATCHCo app has eliminated both makeup lines and stained clothing with its custom foundation app. 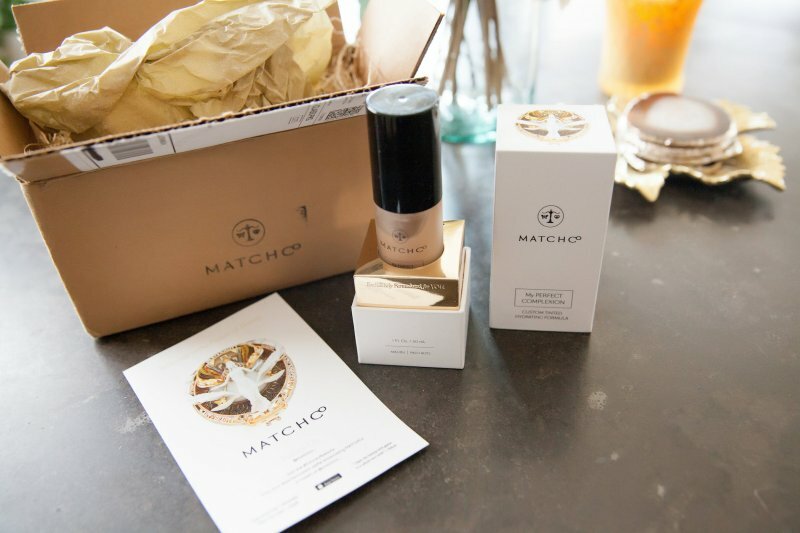 When I got the chance to try the MATCHCo foundation-matching app I was a bit skeptical. As I mentioned, my skin tone has always been difficult to match… It has some yellow undertones but a bit of pink as well. I used to work for a skincare and cosmetics company and the makeup artists there took several tries to find a color match for me and even then it wasn’t perfect. So how would an app on my phone be able to do the job? Well, it did the job… And did it well. Here’s how my experience went. After downloading the MATCHCo app a helpful tutorial will play on your phone, walking you through each step in the app’s color-matching process. First, stack 5 sheets of printer paper on a surface and quickly tap your phone’s camera right onto the paper to calibrate the lighting and color. (I took my phone case off while color matching so I wouldn’t get any shadows or interference from the case.) Then you repeat the same tapping process on different areas of your skin… Your wrist, forehead, and cheeks. 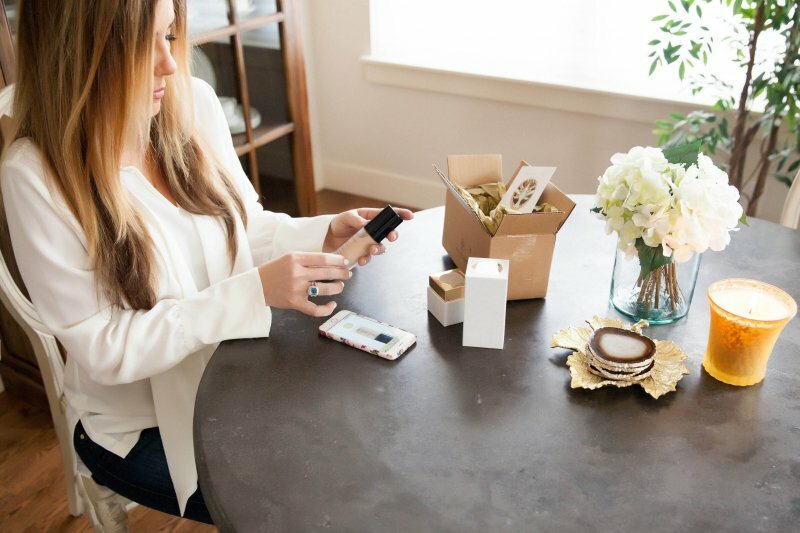 The app uses these measurements to create your perfect foundation match. 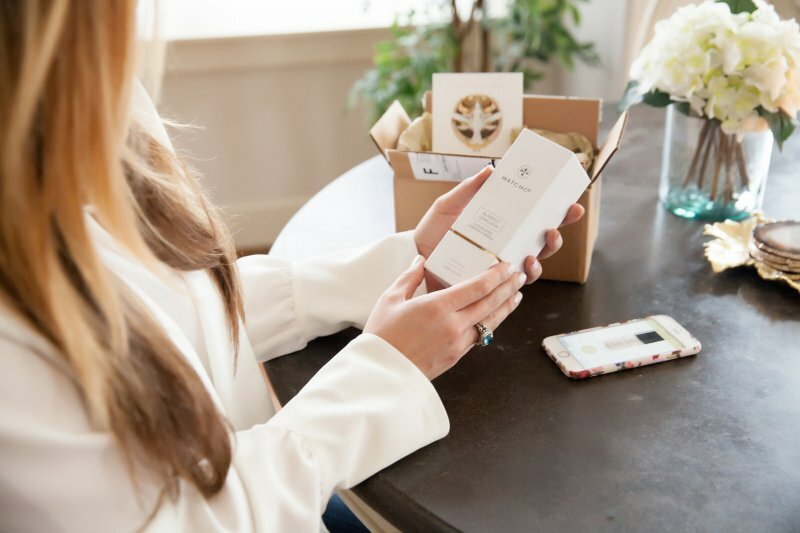 Before you know it, your custom foundation arrives in the mail in pretty, sleek packaging. The formula is designed to eliminate the need for primer and to hydrate skin all day long. Ingredients include antioxidants chamomile and green tea extracts as well as moisturizing vitamin E. The formula feels creamy and smooth to the touch and blends effortlessly into the skin. And the color matches my skin tone perfectly. I was blown away by the accuracy of MATCHCo’s color matching technology. As you can see in the photo above, the app has captured my hard-to-match skin tone and bottled it. I would say the coverage of the MATCHCo foundation is light to medium. Before applying it, I did my Dark Undereye Circle Routine to conceal my late nights. I added a bit of blush and bronzer on top of the foundation and I found the MATCHCo coverage held up through all my daytime activities. When you run out of foundation, you can either rematch your skin tone depending on things like sun exposure or lack thereof, or you can simply reorder your previous custom formula. 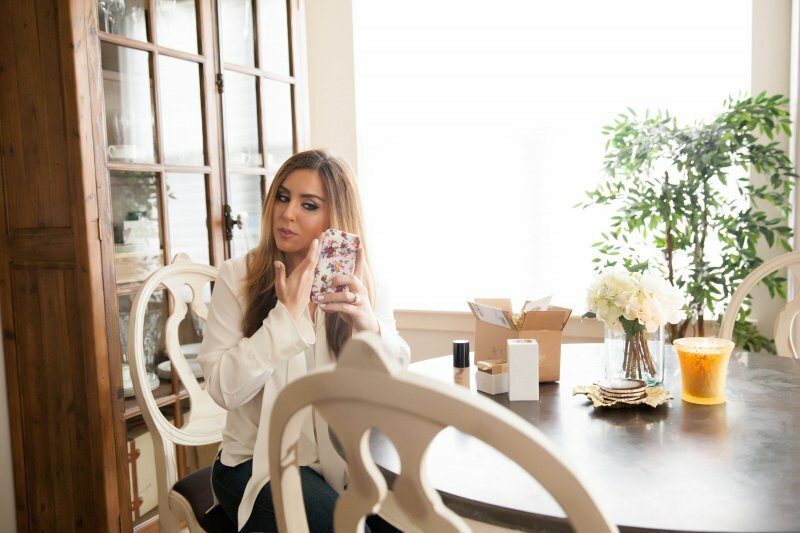 Let me know if you try this app and foundation… I’d love to hear what you think! As of three tries, they haven’t managed to match me. I ordered and they gave me a free reorder- neither matched properly – they are either light or light and pink (I was about c4 in Mac) so I could use either. I tried again and the same problem occured- I even tried the scan 3 times before submitting. My latest retry they just put on hold and never filled. So final conclusion- I paid twice, got 3 bottles and none of them matched. Texture is nice and bottle is lovely though. It doesn’t even need to match perfectly- but it looks like they scanned mainly light skinned people when making the app or less people with yellow undertones. I even sent a picture of my cheek to customer service. Oh no, Kim. I am so sorry to hear this. I have an odd yellow-peach tone to my skin with a bit of olive too (my background is Mediterranean-American Indian-North European mix) so I was shocked at how well it turned out. Even my photographer commented on how well it blended in natural light, so it’s disappointing to hear that it didn’t work for you. I will send a note to them as well. I really hope they resolve the issue. I just found out about it. I am pretty pale but also very yellow, it looks like I have a mild case of jaundice. I am Mediterranean but I don’t have any other relative as yellow as me. I wish they shipped to Europe but unfortunately they don’t.